Therefore Yeshua said again, "I tell you the truth, I am the gate for the sheep"
Exodus 12:5 Beginning with the yod in mashiach, the Hebrew name Yeshua count each 177 letters in reverse. ו וְהָיְתָה צְעָקָה גְדֹלָה, בְּכָל-אֶרֶץ מִצְרָיִם, אֲשֶׁר כָּמֹהוּ לֹא נִהְיָתָה, וְכָמֹהוּ לֹא תֹסִף. 6 And there shall be a great cry throughout all the land of Egypt, such as there hath been none like it, nor shall be like it any more. ז וּלְכֹל בְּנֵי יִשְׂרָאֵל, לֹא יֶחֱרַץ-כֶּלֶב לְשֹׁנוֹ, לְמֵאִישׁ, וְעַד-בְּהֵמָה--לְמַעַן, תֵּדְעוּן, אֲשֶׁר יַפְלֶה יְהוָה, בֵּין מִצְרַיִם וּבֵין יִשְׂרָאֵל. 7 But against any of the children of Israel shall not a dog whet his tongue, against man or beast; that ye may know how that Yahweh doth put a difference between the Egyptians and Israel. ח וְיָרְדוּ כָל-עֲבָדֶיךָ אֵלֶּה אֵלַי וְהִשְׁתַּחֲווּ-לִי לֵאמֹר, צֵא אַתָּה וְכָל-הָעָם אֲשֶׁר-בְּרַגְלֶיךָ, וְאַחֲרֵי-כֵן, אֵצֵא; וַיֵּצֵא מֵעִם-פַּרְעֹה, בָּחֳרִי-אָף. 8 And all these thy servants shall come down unto me, and bow down unto me, saying: Get thee out, and all the people that follow thee; and after that I will go out.' And he went out from Pharaoh in hot anger. י וּמֹשֶׁה וְאַהֲרֹן, עָשׂוּ אֶת-כָּל-הַמֹּפְתִים הָאֵלֶּה--לִפְנֵי פַרְעֹה; וַיְחַזֵּק יְהוָה אֶת-לֵב פַּרְעֹה, וְלֹא-שִׁלַּח אֶת-בְּנֵי-יִשְׂרָאֵל מֵאַרְצוֹ. 10 And Moses and Aaron did all these wonders before Pharaoh; and Yahweh hardened Pharaoh's heart, and he did not let the children of Israel go out of his land. ב הַחֹדֶשׁ הַזֶּה לָכֶם, רֹאשׁ חֳדָשִׁים: רִאשׁוֹן הוּא לָכֶם, לְחָדְשֵׁי הַשָּׁנָה. 2 'This month shall be unto you the beginning of months; it shall be the first month of the year to you. ד וְאִם-יִמְעַט הַבַּיִת, מִהְיוֹת מִשֶּׂה--וְלָקַח הוּא וּשְׁכֵנוֹ הַקָּרֹב אֶל-בֵּיתוֹ, בְּמִכְסַת נְפָשֹׁת: אִישׁ לְפִי אָכְלוֹ, תָּכֹסּוּ עַל-הַשֶּׂה. 4 and if the household be too little for a lamb, then shall he and his neighbour next unto his house take one according to the number of the souls; according to every man's eating ye shall make your count for the lamb. ו וְהָיָה לָכֶם לְמִשְׁמֶרֶת, עַד אַרְבָּעָה עָשָׂר יוֹם לַחֹדֶשׁ הַזֶּה; וְשָׁחֲטוּ אֹתוֹ, כֹּל קְהַל עֲדַת-יִשְׂרָאֵל--בֵּין הָעַרְבָּיִם. 6 and ye shall keep it unto the fourteenth day of the same month; and the whole assembly of the congregation of Israel shall kill it at dusk. ז וְלָקְחוּ, מִן-הַדָּם, וְנָתְנוּ עַל-שְׁתֵּי הַמְּזוּזֹת, וְעַל-הַמַּשְׁקוֹף--עַל, הַבָּתִּים, אֲשֶׁר-יֹאכְלוּ אֹתוֹ, בָּהֶם. 7 And they shall take of the blood, and put it on the two side-posts and on the lintel, upon the houses wherein they shall eat it. ח וְאָכְלוּ אֶת-הַבָּשָׂר, בַּלַּיְלָה הַזֶּה: צְלִי-אֵשׁ וּמַצּוֹת, עַל-מְרֹרִים יֹאכְלֻהוּ. 8 And they shall eat the flesh in that night, roast with fire, and unleavened bread; with bitter herbs they shall eat it. ט אַל-תֹּאכְלוּ מִמֶּנּוּ נָא, וּבָשֵׁל מְבֻשָּׁל בַּמָּיִם: כִּי אִם-צְלִי-אֵשׁ, רֹאשׁוֹ עַל-כְּרָעָיו וְעַל-קִרְבּוֹ. 9 Eat not of it raw, nor sodden at all with water, but roast with fire; its head with its legs and with the inwards thereof. י וְלֹא-תוֹתִירוּ מִמֶּנּוּ, עַד-בֹּקֶר; וְהַנֹּתָר מִמֶּנּוּ עַד-בֹּקֶר, בָּאֵשׁ תִּשְׂרֹפוּ. 10 And ye shall let nothing of it remain until the morning; but that which remaineth of it until the morning ye shall burn with fire. יא וְכָכָה, תֹּאכְלוּ אֹתוֹ--מָתְנֵיכֶם חֲגֻרִים, נַעֲלֵיכֶם בְּרַגְלֵיכֶם וּמַקֶּלְכֶם בְּיֶדְכֶם; וַאֲכַלְתֶּם אֹתוֹ בְּחִפָּזוֹן, פֶּסַח הוּא לַיהוָה. 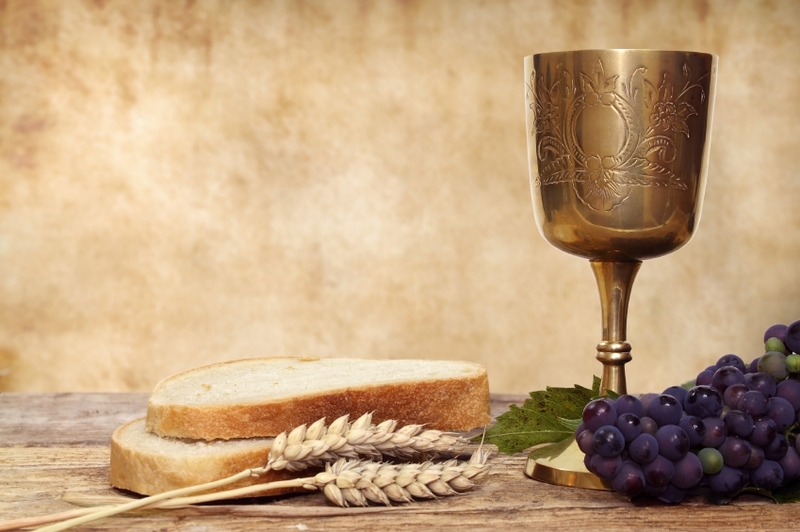 11 And thus shall ye eat it: with your loins girded, your shoes on your feet, and your staff in your hand; and ye shall eat it in haste--it is the LORD'S passover. יב וְעָבַרְתִּי בְאֶרֶץ-מִצְרַיִם, בַּלַּיְלָה הַזֶּה, וְהִכֵּיתִי כָל-בְּכוֹר בְּאֶרֶץ מִצְרַיִם, מֵאָדָם וְעַד-בְּהֵמָה; וּבְכָל-אֱלֹהֵי מִצְרַיִם אֶעֱשֶׂה שְׁפָטִים, אֲנִי יְהוָה. 12 For I will go through the land of Egypt in that night, and will smite all the first-born in the land of Egypt, both man and beast; and against all the gods of Egypt I will execute judgments: I am Yahweh. יג וְהָיָה הַדָּם לָכֶם לְאֹת, עַל הַבָּתִּים אֲשֶׁר אַתֶּם שָׁם, וְרָאִיתִי אֶת-הַדָּם, וּפָסַחְתִּי עֲלֵכֶם; וְלֹא-יִהְיֶה בָכֶם נֶגֶף לְמַשְׁחִית, בְּהַכֹּתִי בְּאֶרֶץ מִצְרָיִם. 13 And the blood shall be to you for a token upon the houses where ye are; and when I see the blood, I will pass over you, and there shall no plague be upon you to destroy you, when I smite the land of Egypt. יד וְהָיָה הַיּוֹם הַזֶּה לָכֶם לְזִכָּרוֹן, וְחַגֹּתֶם אֹתוֹ חַג לַיהוָה: לְדֹרֹתֵיכֶם, חֻקַּת עוֹלָם תְּחָגֻּהוּ. 14 And this day shall be unto you for a memorial, and ye shall keep it a feast to the LORD; throughout your generations ye shall keep it a feast by an ordinance for ever. טו שִׁבְעַת יָמִים, מַצּוֹת תֹּאכֵלוּ--אַךְ בַּיּוֹם הָרִאשׁוֹן, תַּשְׁבִּיתוּ שְּׂאֹר מִבָּתֵּיכֶם: כִּי כָּל-אֹכֵל חָמֵץ, וְנִכְרְתָה הַנֶּפֶשׁ הַהִוא מִיִּשְׂרָאֵל--מִיּוֹם הָרִאשֹׁן, עַד-יוֹם הַשְּׁבִעִי. 15 Seven days shall ye eat unleavened bread; howbeit the first day ye shall put away leaven out of your houses; for whosoever eateth leavened bread from the first day until the seventh day, that soul shall be cut off from Israel. טז וּבַיּוֹם הָרִאשׁוֹן, מִקְרָא-קֹדֶשׁ, וּבַיּוֹם הַשְּׁבִיעִי, מִקְרָא-קֹדֶשׁ יִהְיֶה לָכֶם: כָּל-מְלָאכָה, לֹא-יֵעָשֶׂה בָהֶם--אַךְ אֲשֶׁר יֵאָכֵל לְכָל-נֶפֶשׁ, הוּא לְבַדּוֹ יֵעָשֶׂה לָכֶם. 16 And in the first day there shall be to you a holy convocation, and in the seventh day a holy convocation; no manner of work shall be done in them, save that which every man must eat, that only may be done by you. יז וּשְׁמַרְתֶּם, אֶת-הַמַּצּוֹת, כִּי בְּעֶצֶם הַיּוֹם הַזֶּה, הוֹצֵאתִי אֶת-צִבְאוֹתֵיכֶם מֵאֶרֶץ מִצְרָיִם; וּשְׁמַרְתֶּם אֶת-הַיּוֹם הַזֶּה, לְדֹרֹתֵיכֶם--חֻקַּת עוֹלָם. 17 And ye shall observe the feast of unleavened bread; for in this selfsame day have I brought your hosts out of the land of Egypt; therefore shall ye observe this day throughout your generations by an ordinance for ever. יח בָּרִאשֹׁן בְּאַרְבָּעָה עָשָׂר יוֹם לַחֹדֶשׁ, בָּעֶרֶב, תֹּאכְלוּ, מַצֹּת: עַד יוֹם הָאֶחָד וְעֶשְׂרִים, לַחֹדֶשׁ--בָּעָרֶב. 18 In the first month, on the fourteenth day of the month at even, ye shall eat unleavened bread, until the one and twentieth day of the month at even. יט שִׁבְעַת יָמִים--שְׂאֹר, לֹא יִמָּצֵא בְּבָתֵּיכֶם: כִּי כָּל-אֹכֵל מַחְמֶצֶת, וְנִכְרְתָה הַנֶּפֶשׁ הַהִוא מֵעֲדַת יִשְׂרָאֵל--בַּגֵּר, וּבְאֶזְרַח הָאָרֶץ. 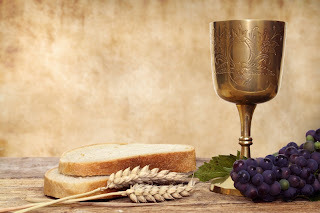 19 Seven days shall there be no leaven found in your houses; for whosoever eateth that which is leavened, that soul shall be cut off from the congregation of Israel, whether he be a sojourner, or one that is born in the land. כא וַיִּקְרָא מֹשֶׁה לְכָל-זִקְנֵי יִשְׂרָאֵל, וַיֹּאמֶר אֲלֵהֶם: מִשְׁכוּ, וּקְחוּ לָכֶם צֹאן לְמִשְׁפְּחֹתֵיכֶם--וְשַׁחֲטוּ הַפָּסַח. 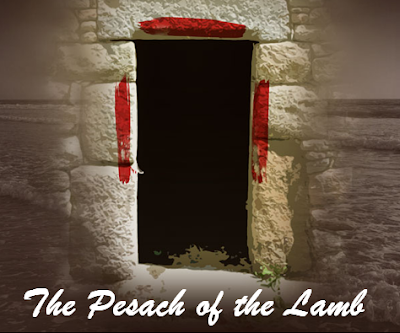 21 Then Moses called for all the elders of Israel, and said unto them: 'Draw out, and take you lambs according to your families, and kill the passover lamb. כב וּלְקַחְתֶּם אֲגֻדַּת אֵזוֹב, וּטְבַלְתֶּם בַּדָּם אֲשֶׁר-בַּסַּף, וְהִגַּעְתֶּם אֶל-הַמַּשְׁקוֹף וְאֶל-שְׁתֵּי הַמְּזוּזֹת, מִן-הַדָּם אֲשֶׁר בַּסָּף; וְאַתֶּם, לֹא תֵצְאוּ אִישׁ מִפֶּתַח-בֵּיתוֹ--עַד-בֹּקֶר. 22 And ye shall take a bunch of hyssop, and dip it in the blood that is in the basin, and strike the lintel and the two side-posts with the blood that is in the basin; and none of you shall go out of the door of his house until the morning. כג וְעָבַר יְהוָה, לִנְגֹּף אֶת-מִצְרַיִם, וְרָאָה אֶת-הַדָּם עַל-הַמַּשְׁקוֹף, וְעַל שְׁתֵּי הַמְּזוּזֹת; וּפָסַח יְהוָה, עַל-הַפֶּתַח, וְלֹא יִתֵּן הַמַּשְׁחִית, לָבֹא אֶל-בָּתֵּיכֶם לִנְגֹּף. 23 For Yahweh will pass through to smite the Egyptians; and when He seeth the blood upon the lintel, and on the two side-posts, Yahweh will pass over the door, and will not suffer the destroyer to come in unto your houses to smite you. כד וּשְׁמַרְתֶּם, אֶת-הַדָּבָר הַזֶּה, לְחָק-לְךָ וּלְבָנֶיךָ, עַד-עוֹלָם. 24 And ye shall observe this thing for an ordinance to thee and to thy sons for ever. כה וְהָיָה כִּי-תָבֹאוּ אֶל-הָאָרֶץ, אֲשֶׁר יִתֵּן יְהוָה לָכֶם--כַּאֲשֶׁר דִּבֵּר; וּשְׁמַרְתֶּם, אֶת-הָעֲבֹדָה הַזֹּאת. 25 And it shall come to pass, when ye be come to the land which Yahweh will give you, according as He hath promised, that ye shall keep this service. כו וְהָיָה, כִּי-יֹאמְרוּ אֲלֵיכֶם בְּנֵיכֶם: מָה הָעֲבֹדָה הַזֹּאת, לָכֶם. 26 And it shall come to pass, when your children shall say unto you: What mean ye by this service? כז וַאֲמַרְתֶּם זֶבַח-פֶּסַח הוּא לַיהוָה, אֲשֶׁר פָּסַח עַל-בָּתֵּי בְנֵי-יִשְׂרָאֵל בְּמִצְרַיִם, בְּנָגְפּוֹ אֶת-מִצְרַיִם, וְאֶת-בָּתֵּינוּ הִצִּיל; וַיִּקֹּד הָעָם, וַיִּשְׁתַּחֲווּ. 27 that ye shall say: It is the sacrifice of Yahweh passover, for that He passed over the houses of the children of Israel in Egypt, when He smote the Egyptians, and delivered our houses.' And the people bowed the head and worshipped. The adjacent letters at the same ELS spell: 2448 A.C, ABIB, 14, The Ninth , Hour. The Marriage of the Lamb and Redemption; Blessings.